Four groups in the initial phase of proceedings in the Boys’ Team event at the 2017 Pan American Junior Championships in Buenos Aires, Argentina; when play came to a conclusion on the first day of action, Tuesday 20th June, it was first place in the group for the leading outfits without due alarm. The United States, Argentina, Brazil and Canada all imposed their authority on proceedings. Only one fixture involving the top four was not recorded by the three-nil margin. After accounting for the Barbados trio comprising Tyrese Knight, Ramon Jackman and Marcus Smith, Brazil’s Siddharta Almeida, Carlos Ishida and Eduardo Tomoike found stiff opposition in the form of Chile’s Nicolas Burgos, Andres Martinez and Jorge Parades. Nicolas Burgos emerged the player to cause the problems; in the second match of the engagement, he beat Carlos Ishida (9-11, 10-12, 11-9, 11-8, 11-9) but in the fourth contest was unable to repeat the feat when opposing Siddharta Almeida (12-10, 11-9, 11-9). Earlier Siddharta Almeida had beaten Andres Martinez (9-11, 11-9, 11-9, 11-3) to give his team the ideal start; the one further win for the Brazilians was secured by Eduardo Tomoike. In the third match of the engagement, he accounted for Jorge Paredes (11-7, 7-11, 11-5, 11-8). Meanwhile, for the United States there were no great moments of concern. Victor Liu, Jack Wang and Sharon Alguetti accounted for Puerto Rico’s Francisco Matias, Sebastian Echevarria and Gabriel Perez before, with Kanak Jha replacing Sharon Alguetti, the same margin of victory was recorded in opposition to Mexico’s Diego Fuentes, Dario Arce and Mikael Muñoz. Likewise, there was no stopping Argentina. Francisco Sanchi, Martin Bentancor and Santiago Tolosa overcame El Salvador’s Oscar Villalta, Oliver Mendoza and Jaime Galeano by three matches to nil before, with Leandro Fuentes preferred to Pedro Cabrera, the same impressive margin was posted in opposition to the Dominican Republic’s Mariano Lockward, Carlos Guzman and Pedro Cabrera. Comprehensive three-nil wins; it was the same from Canada. 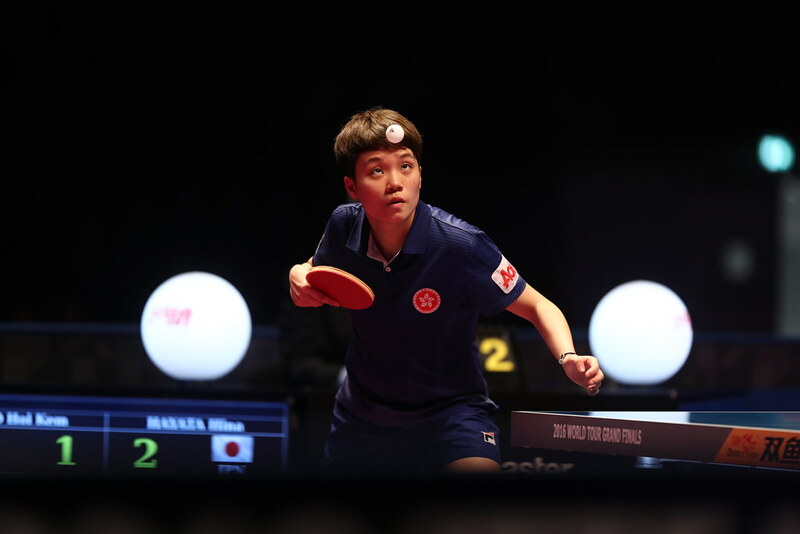 Bryan Ho, Jeremy Hazin and Edward Ly combined to beat Uruguay’s Pablo Palou, Rodrigo Baez and Mateo da Silva, prior to defeating Peru’s Felipe Duffoo, Rodrigo Hidalgo and Adolfo Cucho by the same margin, a fixture in which Terence Yeung replaced Edward Ly. Play in the Boys’ Team event continues on Wednesday 21st June with the start of the second phase fixtures.